Journalist Vicky Ntetema exposed witch doctors who harvest albinos’ body parts for good-luck potions snapped up by Tanzania’s wealthy. Roja Heydarpour on the intrepid work that won her and three others Courage Awards. Two teenage girls lay still in their beds last year and listened to the swift, efficient sounds of a machete strike three times. Steps away on the veranda near their home in northwest Tanzania, a witch doctor’s assassin first slashed their sister’s neck, then one leg, and finally the other. Their father was selling his albino daughter’s body parts to a witch doctor, who would dry them out and stir them into a pricey potion for sale. From politicians to CEOs to the police, Tanzanians want potions made from the limbs, blood, and hair of albinos, which is said to bring success in business and love. Ntetema was one of four women given the award for risking their lives to expose difficult truths through their reporting. Tsering Woeser, a Tibetan writer and blogger confined to her home in Beijing, accepted her award remotely, as the Chinese government would not grant her a passport. Claudia Julieta Duque, who exposed the government conspiracy behind a journalist’s death in Colombia, gave her daughter—who endured death threats and a lifetime longing for a normal life—the award. And Alma Guillermoprieto, a prolific journalist in Western media who comes from Mexico, won the lifetime achievement award. “This is a tremendous cure for the loneliness of our craft,” she told a ballroom full of admirers at New York's Waldorf-Astoria. The Daily Beast spoke Tuesday to Ntetema, who took in the two albino girls who otherwise would have had endured same fate as their sister. (All the children she saved passed through her home before finding a permanent one.) Tanzanian by birth, Ntetema lived and studied abroad for many years but returned to report for the BBC in 2005. In 2007, she heard that people with albinism were being maimed for their parts and soon set out to see if these were indeed rumors. She went undercover to investigate the atrocities and exposed the witch doctors, who she says are con men, charging up to $2,000 for an albino person’s leg. Because of the hefty price, peasants aren’t the ones buying the potions. Politicians who want to win elections wear large rings with albino powder hidden inside, she said. High-powered CEOs buy the potion in order to make more money. And the police are in on it, too. The Tanzanian government finally banned the practice nearly two years ago, in part due to Ntetema’s stories. They were embarrassed by their country’s now-tarnished image. But the ban was revoked last month, conveniently close to the general elections on Oct. 31, said Ntetema. The witch doctors wield enormous power in a country where more than 90 percent believe and are afraid of being bewitched, she said. So even if a politician running for office does not buy the potion, the witch doctor threatens to tell his community to withhold its votes. This powerful sector does not hesitate to assert its power over Ntetema, either. “If I open my mouth again, my life will be in danger,” she said, referring to the witch doctors who threaten her life, not to mention the police and politicians. That is why her main focus is on Under the Same Sun, her nonprofit organization for people with albinism now. She’s trying to get the word out through other means. Though she has covered genocide and other atrocities that have affected many more people—since 2006, 58 albinos have been killed, but only four people have been convicted of murder—she says the plight of the albino community is one that affects every single part of society, which is why she has thrown herself so whole-heartedly into their story. They have been persecuted in one way or another for decades. Years ago, albinos were killed at birth, or left to be trampled by animals. Then they were buried alive alongside chiefs. Now neighboring countries are starting to use albino body parts—and the wealthy and the powerful are fueling the practice. 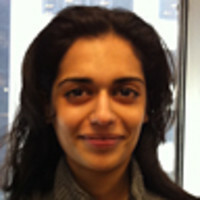 Roja Heydarpour is an editor at The Daily Beast. She has reported for the The New York Times and The Times-Tribune.